When it comes to interviews here on Gaming Reinvented, popular fan game and ROM hack developers are common choices. We’ve interviewed everyone from Fusion Gameworks, we’ve interviewed MFGG celebrities like Thunder Dragon and DJ Coco, heck we’ve even interview WwwWario about his interests in Wario Land fan game development! And today, we’ve got someone else with an interesting story to tell. Step forward Guinea, one of the main administrators over at Mario fan gaming site Mario Fan Games Galaxy! Well renowned for making such great games as Super Mario Bros DDX and Super Mario Bros & the Midas Machine, Guinea has been involved in the community since all the way back in 2005. So let’s see what he has to say about Mario fan games, MFGG and game development in general! 1. Okay, so as usual, let’s start off with a personal question. Can you tell us a bit about yourself in general? I am somebody who loves games of all kind (video games as well as board games) ever since I can think. I was always interested in technology, but also do other stuff like sports, cooking, and not to forget I am also a huge movie buff. Those who want to know more can find me on MFGG, or read the rest of this interview. 2. So what initially made you interested in the Mario series? Any one game in particular, like Super Mario Bros 3, Super Mario World, Super Mario 64, eh? The first time I came in contact with Mario, it was on the SNES of a cousin of mine. He had Super Mario World and I immediately fell in love with Yoshi. Above: Not in the original Super Mario World, but it’s a great video to show off the game regardless. The more I played though, the more I started to appreciate the games I had, especially Super Mario Bros. 3. The very first Mario game I have ever played is now proudly sitting in my library; my cousin gifted me his copy of Super Mario World when he sold his SNES years later. 3. How about fan games? What made you start making those? Around the time when I got a Nintendo 64, I started being more creative. I designed board games using pen and paper and also sketched down ideas for Nintendo 64 games that I wanted to make. 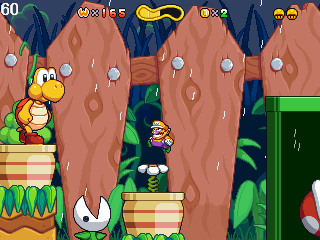 Those ideas included Mario themed games, such as a Yoshi’s Island sequel in which Bowser rides Yoshi instead of Mario, as well as original ideas. Fast forward to the era of Game Maker 4.0 and RPG Maker 2000. My first video game I made in Game Maker was actually an original game called Ginni Pig Adventure, starring my own guinea pig. I used Mario sound effects that I got from themushroomkingdom.net, and then I got inspired to make an amazing Mario fan game. Years later, I found MFGG and submitted it there and later joined the forums. 4. Your first games… had a bit of a mixed reception (especially ‘Super Mario Bros 4’). What were the mistakes made here that your later works improved on? Well, I would not call Super Mario Bros. 4 a mistake, but a learning experience. I was new to game making, and I was happy that I could slap together any game at all! I did learn a couple of lessons though, such as: do not use a *.wav file which is larger than the entire rest of the game, even if it is the amazing theme of the Super Mario Bros. Super Show. Also, learn to properly pick your sprites and make sure they don’t clash. And don’t call your fan games “Super Mario Bros. 4”. 5. Now onto Super Mario Bros DDX. What inspired you to make this title? 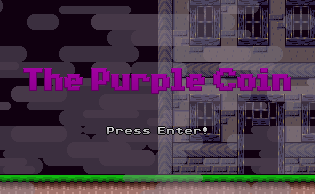 It’s not your typical remake of Super Mario Bros? The story of the making of Super Mario Bros. DDX is a very interesting one. I started out with the desire to code the ultimate 2D Mario engine, filled with a ton of features and lots of power-ups. As I aimed to combine elements from all the mainline Mario games, including features from 3D games like Mario’s special jumps, I called it AME, the All-Mario-Engine. It was one of the first engines on MFGG (or even the first?) that had pixel perfect collision code that made it impossible to get stuck in walls. I also kept a development log using a forum thread, creating very high interest in AME. In the end however, I focused so much on the features of the engine, that I forgot to think about the game I want to make with it. Some time down the road, I put recoloured SMB sprites into AME for fun. At the time the more serious looking SMB sprites appealed to me and I got hit by inspiration. However, my goal was not to merely recreate Super Mario Bros. I wanted to take the classic gameplay and use it for an epic story with cutscenes and bosses. If you pay attention to the cutscenes, you will also notice that I had played Metroid Fusion around that time. 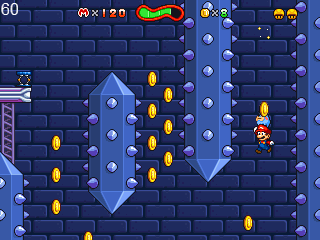 Inspiration also came from the famous “Super Mario XP”, a crossover between SMB and Castlevania. 6. And how about that final boss? Where did you get the idea of making Bowser turn giant and Mario have to fight him in a kaiju style boss battle? Super Mario Bros. DDX was in development for quite some time, and I made the story up as I went. The very first boss is a regular Bowser which you can defeat like in the classic Super Mario Bros. For the second boss though, I wanted something more original. 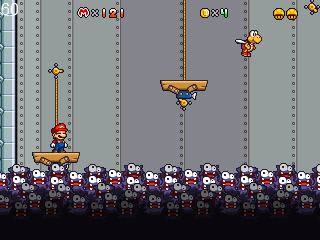 There has never been a Blooper boss (in a 2D Mario game), so I wanted to make one. I ended up resizing a Blooper and I liked how the fight played out. I decided to stay consistent and make the other bosses huge pixelated versions of smaller enemies as well. Thus the obvious conclusion was to fight a larger version of Bowser in the end. However, since that was not yet epic enough for my tastes, I cranked it up to eleven and made it a multi-phase boss fight, in which you first have to fight a regular Bowser, then run away from one that’s larger than the screen, and finally you get to rise to the challenge and fight him one-on-one, with the screen shaking on every jump and everything! If you pay close attention, you will notice that the final battle arena is actually a miniature version of the previous level. This was obviously followed by the mandatory escape sequence together with a cameo appearance of a very confused bounty hunter. It’s my first rule of fangaming: make the game you would want to play yourself. 7. A few questions about Mushroom Patrol the Midas Machine now. What even is a Mushroom Patrol? Or a Midas Machine? Note: It’s been changed to Super Mario Bros. & The Midas Machine to avoid exactly this question. The Midas Machine part is easily explained. It refers to the name of the machine which is powered by the Hand of Midas. The machine can be used to turn anything into gold, with the added benefit, as Captain Syrup explains it, that the user is not affected by its curse. Above: Captain Syrup is in this game. Has a cool theme song too. 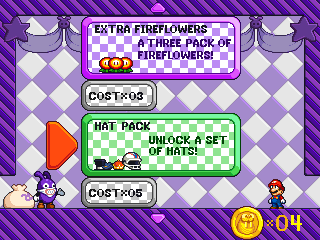 As for the Mushroom Patrol part: when the community project started, we wanted it to be a fusion of the Mario and Wario play styles, and thus find a title that includes everybody. We let the community throw in ideas, and in the end we settled on “Mushroom Patrol”. However, a while ago, we have decided to rename the game to “Super Mario Bros. & The Midas Machine”, since, as you have highlighted in your question, nobody knew what the heck a Mushroom Patrol even is and the link to the Mario series was not clear either. 8. 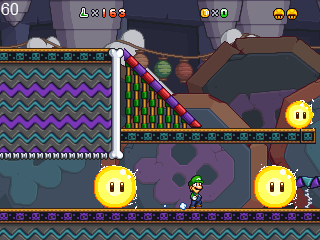 Previously, the game was going to be a community project for the Mario Fan Games Galaxy forums. What happened to that idea? The curse of putting together a team of volunteers, who do not get paid, is that they are likely to lose interest. For example some team members might not have liked certain community decisions, so they would rather focus on their own projects instead. Since I was one of the people who started the project, I’m still left. I would perhaps also have abandoned it by now since the sheer scale of the game is way too much for only one person (or even two). We are also supported by great composers, and occasionally Thunder Dragon gives his input as well. A couple of levels have been built by him for example. The game has been in development for way too long, but we are stubborn, and not backing off of our vision. It is coming along, and we are getting closer to the end. Chaoxys is regularly posting updates on the forums and I’m chopping off stuff from my To-Do list. Life gets in the way a lot, that’s why it’s not yet done, but when it is, we want you to say “wow”. Above: Sorry, someone needed to make that joke. 9. 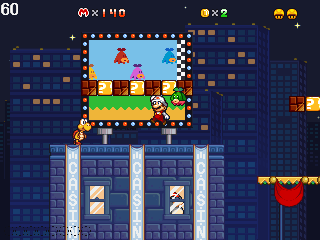 The game takes a fair bit of inspiration from both the Super Mario Bros and Wario Land franchises. Was part of your goal to merge them together a bit more? 10. The game’s art style is pretty fantastic, and looks nearly professional quality. So what inspired the art direction in this game? Any particular goals you had in mind for the graphics? I feel personally offended if you call Chaoxys’s work only “nearly” professional quality! *laughs* When it comes to the art direction, you have to ask the man himself for all the juicy details. If I had to describe the art style, I think it is trying, successfully, to take the designs from the modern Mario games, including the New Super Mario Bros. and 3D Land series, but give it the soul of lovingly hand-crafted 2D sprite art. Above: Some examples of the artwork from the game. 11. How did you decide the moveset to give Waluigi as a playable character in this game? He’s not been playable in any actual Mario platformers, so what was the basis behind the character’s abilities in this one? In Midas Machine, every character has one unique move. For Mario, it is his wall-jump. Luigi has got the high jump from Super Mario Bros. 2 and you can’t have Wario without his signature shoulder bash! When it came to Waluigi we had nothing to work with though, since there is no official Waluigi game. We considered to give him psychic moves, inspired by Psycho Waluigi, or sports based moves. Finally, we tried to be original. Comparing Waluigi to the other characters, the property that sticks out is that he’s incredibly thin. So we gave him the ability to hold his breath, so he could fit through tiny gaps in the ground. This concept worked well with his physique, as well as our level design goal, to have branching paths that the different characters could take advantage of. As a side effect, his ability allows him to be more precise in his jumps, which explains why his regular physics are designed to be quite slippery on purpose. 12. Finally, what’s the deal with the Takkos in this game? They’re obviously helpful creatures that help you do things like fall more slowly, but what was the inspiration behind them as a character or concept? As with every Mario fan game, Yoshi gets considered at one point during development. However, riding Yoshi would disable the characters’ special abilities, making him undesirable to obtain. Thus we looked for an alternative companion to shake things up a bit. I had an older idea floating around, complete with a programmed prototype, of a flying companion. Chaoxys in parallel had a similar idea. So we combined our ideas into the cute plant-squid hybrid we know today as Takko. Above: A great example of the Takko character. 13. Onto Mario Fan Games Galaxy now. How did you get offered a staff role at the site, back in 2008? It certainly helped, that I was generally a pleasant member and engaged with the community a lot. At some point, the staff were looking for a new local moderator to check on the Fan Game Discussion section. I imagine they saw that I cared from the way I posted there, and they asked me if I want to do it. And because they were right, I said yes. 14. What’s it like being a staff member there anyway? As a staff member, you have the privilege to make decisions for MFGG together with the rest of the staff. But, as the mascot of a famous rice brand once said, “with great power comes great responsibility”. The desires of the community need to be taken into account, but you also need to know when to say no, and go for the unpopular decision, to keep the purpose of the site alive. 15. How about moderation? Do you often have to decline fan games and other submissions for various reasons? 16. What other fan games on the site have you found the most impressive in terms of quality (other than your own works or those you’re associated with)? Well, let’s skip past the obvious answer, which is of course everything made by Thunder Dragon, in particular Psycho Waluigi. Then we have BurninLeo’s All-Star Quest, which is a game I wish I had made. It inspired later works such as the (unfortunately cancelled) Raiders of the Painting Realms, and parts of Midas Machine. A more recent game I absolutely love is Abducted Toad by Friendly Dictator. You can’t go wrong with anything made by DJ Coco, either. This is always a difficult question to answer thoroughly, since you always forget somebody and a bit later you think “dangit, I should have also mentioned this”. 17. And are there any times you’ve regretted your approval of a fan game? Like when it was perhaps only just good enough to be accepted? 18. As far as the future goes, what’s planned for Mario Fan Games Galaxy? How is it going to look more modern/usable? You should ask HylianDev about this. I originally wanted to be more involved in the development of MFGG3.0, but it is hard to find the time for administration, web development and game making, (heck, even only a single one of those) when you’re no longer in school. To my knowledge, HylianDev made a lot of progress though, so I am looking forward to the final result. 19. This is perhaps an awkward question, but do you ever see a time when you’ll step down as a staff member on MFGG? Why/why not? I already stepped down a couple of years ago together with Char, since I am first and foremost a game developer, not a politician (which is what MFGG would have needed at the time). I was asked to return after a while, and I guess I will stay at least in some capacity until the day MFGG shuts down, or I get kicked out, since I can’t help it, I just love the place! The good news is that we have now great staff that could handle the place without me, so I really stay because I want to. 20. Post Midas Machine now. Do you have any plans for Mario fan games once it’s finally completed? Too many to ever make all of them. I have some ideas I really want to do, but at this point I don’t want to promise anything. Instead, I prefer to surprise everyone positively! 21. 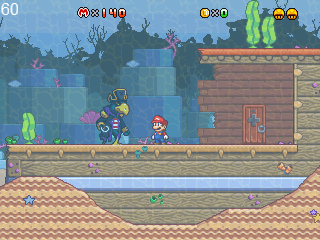 Talking of future fan games, what do you think the future of Mario fan games will be like anyway? Who knows. As long as they can still get made without getting C&D letters, and people are still nice to each other, it’s a future I approve of. In the end, aren’t all fan game makers living more in the past, rather than the future? 22. How about indie games? Do you plan to make your own, or provide sprite graphics for another game? I occasionally enter Ludum Dare and am working on some original ideas on the side. Nothing is yet far enough to present it, but I would certainly like to get a game out on Steam or even a console eventually. Publishing a game on a Nintendo console in particular, would be amazing simply because of the emotional value. Original games are harder to finish though, since you can’t just fill up holes with ripped sprites and sounds. However, I genuinely like making fan games, since there is a whole other kind of joy in working with established characters and paying tribute to the creators of the games you love, as well as the freedom of not having to be concerned about making money, since that is out of the question from the start. 23. Are there any improvements or changes you want for Mario Fan Games Galaxy in future? Like, things that could make the site even more popular than it is already? I enjoyed the times, when we were just a group of people who came together to have fun, making the games we wish Nintendo had made, rather than trying to become popular, so I am probably not the right person to ask. I am a bit of a dinosaur when it comes to social media and the like, so I leave these matters to our younger staff. Considering copyright laws around the world, I am not sure if it is even a good idea to become popular beyond a certain point, as it increases the risk of getting shut down altogether. As a fan game maker, you always feel a bit like Icarus (the one who flew too close to the sun and got his wings burned). 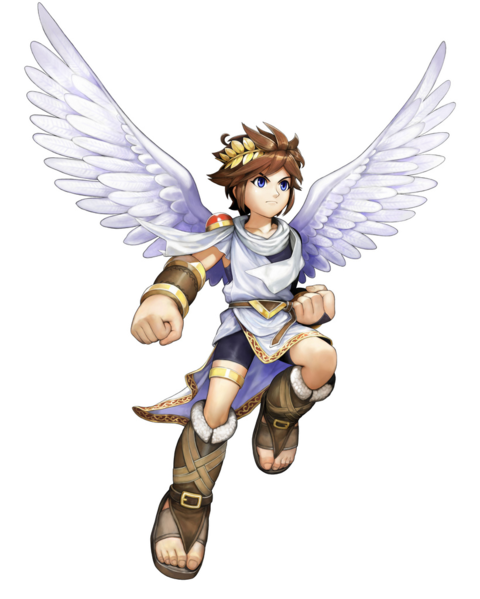 Above: Not Pit from Kid Icarus Uprising. Though he can’t fly for too long either. 24. What about the future of the games industry in general? What do you like and dislike about it, based on what companies like Nintendo have been saying? This question alone could fill a whole new interview, but I will try to not ramble too long. One thing I think about is, how will games be sold in the future? and instead have to subscribe to some Netflix-like service which may shut down or remove individual games from over time. The worst scenario would be one in which it becomes impossible to preserve games for future players. Nowdays people can still play 30 year old games such as Super Mario Bros., either officially on Nintendo hardware, or unofficially with emulators. However, with increasingly aggressive DRM I wonder how easy it will be to play PS4, XBO or NX games 30 years from now, when their services have been shut down. Luckily there exist sites like GOG, and show that you can also make money from DRM-free games. Another thing that concerns me is, will game design be affected (in the long term) by monetization models such as micro-transactions, DLC or season passes? They could. But they probably won’t. Arcade games have operated in a similar way, being design hard or unfair on purpose, so you have to spend more coins, and yet there are gems that we still remember fondly today. In the end, history shows, that while there are ups and downs, the best games will always come out on top in the long term. Even games that sold poorly at their release, have shown to be able to get fans to purchase a sequel years later, a prominent example being Psychonauts. This means that even a financially badly performing game can mean profit in the long term, so long as it is good, and I wish more big publishers would embrace forward thinking like this, since, if anybody, then they are the ones who can afford it. we shouldn’t worry about the bad games, and instead enjoy the good ones. There is already a backlog of good games larger than any person could reasonably ever play, and it is never too late to replay old games. 25. Last but not least; what advice would you give someone who wants to make fan games? For first timers, I suggest to just make the game you want to make. Making it means finishing it. Finishing it means, making something small enough that you can actually do. You’re not going to make Super Mario 64 as your first game. Above: Judge Spear and the Mushroom Kingdom Fusion team may have missed this memo. Care about it. Don’t make a “my first game” game that you don’t care about, just so you can proceed to the big dream project or whatever. Learning how to make games is hard, and a passion for what you’re currently working on, is the best way to keep motivated. Have it criticized, and grow as a person. Don’t be afraid to be crazy, and use the opportunity to do things Nintendo would never do. Do cross-overs, change the tone, insert your own characters, whatever you dream about. Most importantly: have fun together with everyone! So that wraps another interview! Did you find interesting? Are you more excited about Super Mario Bros. & The Midas Machine now? And what do you think about the game’s art style? Post your thoughts here or at the Gaming Reinvented forums today! Let’s Interview: Miles from Mario Fan Games Galaxy!